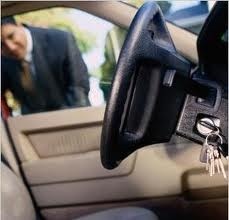 Commonly called lockouts, these incidents occur quite regularly when people have locked their keys inside the vehicle or have lost their car keys. Car door unlocking is exactly as it sounds; the art of opening locked cars and helping people who are locked out of their vehicles. Citrus Lock & Security also opens Trucks, Vans, Motor Homes, Trailers, RV's, Pick Up Trucks, Campers, and almost any auto lock on most vehicles. Car door unlocking can be difficult to perform correctly without the specialized tools required. These tools are designed to prevent damaging the rubber seals around the doors and windows. Left to the non professional, you have the risk of damaging the window tint or worse, damaging the several lock linkages located inside the door cavity. 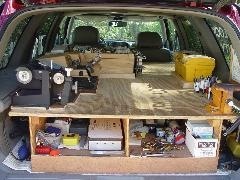 As is obvious, handling a lockout & opening car doors should only be performed by a professional. Citrus Lock & Security is always ready to get the job done correctly and damage-free 24 Hours a day, 7 days a week. Has this ever happened to you? You get in your car, you know you are using the correct key to start the vehicle and the key will not turn the ignition lock. One minute everything is working fine then the next minute, you can't get the key to turn. This happens to many vehicles quite often; both domestic and foreign. Sometimes it's a simple matter of lubrication. Other times, it can be an indication of a more serious problem within the lock cylinder. Over the years, we have sometimes seen the vehicle owner try to "fix" it themselves; only to "create" a much larger problem then the one that originally existed. Sometimes to the extent, by the time we arrived at their location there was nothing we could do to repair the lock and then had to replace it with a new one. 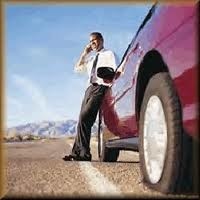 In the most extreme cases, if the vehicle owner had just waited for our help, their vehicle would not have had to be towed to a dealership; which by itself can be an expensive ordeal. It is a rare occasion but, it does sometimes happen. It is usually best to sit tight and wait for a professional Locksmith. Our service vehicle is a complete "shop" on wheels, fully equipped to handle any lockout situation; whether it is your Auto, Home or Business; 24 Hours a day 7 days a week. If your keys have been lost, we can make replacement keys to fit your locks; usually right on the spot. Thus, saving you an expensive trip to the dealership. Complete Lock Out Service 24 Hours a day 7 days a week, 365 days a year. Keys Made For The Ignition, Door or Trunk, Broken Key Extraction, Ignition Cylinders Repaired or Replaced, Ignitions and Doors Re-keyed to new keys, Door Locks Repaired or Replaced, Stuck Ignitions Repaired. We can even duplicate the "Ace" (round) keys found on many Motorcycle Ignitions. Guaranteed to fit the lock and work right the first time. The cost to duplicate these keys is very reasonable and, not as expensive if the keys are lost. If you would like more information, please give us a call, day or night at: (352) 445-3131. We look forward to hearing from you soon.